Lucky for us Gabby Logan dropped in to the Fell Running Briefs HQ this afternoon and helped us organise the results as they came in. 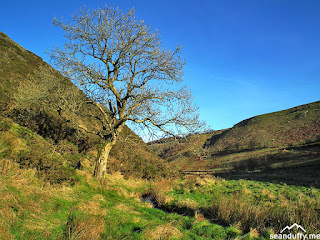 This race is 6 miles and 2500 feet over five hills south of Edinburgh. 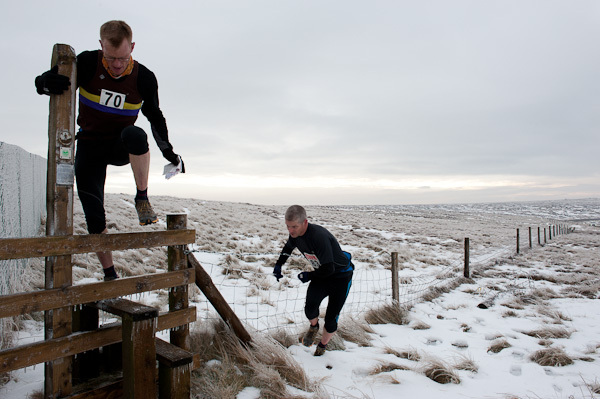 20miles (and 4000 feet) over tough Calderdale tundra. Hannah Dobson, the Trog's organiser, told us conditions were tough but people reported having had a brilliant day. More photos by SportSunday are here. While Orlando Edwards could just about get within a minute of his 1999 record in Carnethy, did Gavin Bland, by finishing third today indicate that "this year I really am going to make a come back". 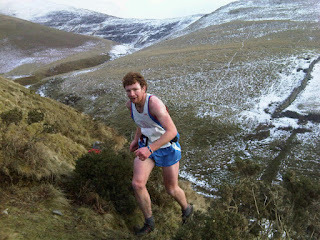 Let's hope so - this 2x English Champion (1991 and 1999) and nephew of the great Billy Bland, is a truly talented runner. 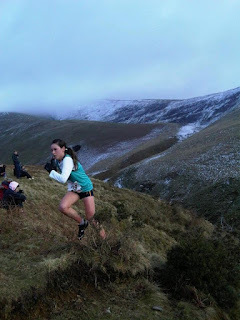 This race is in North Wales and is 6 miles and 2000ft. Full results are linked from this page. 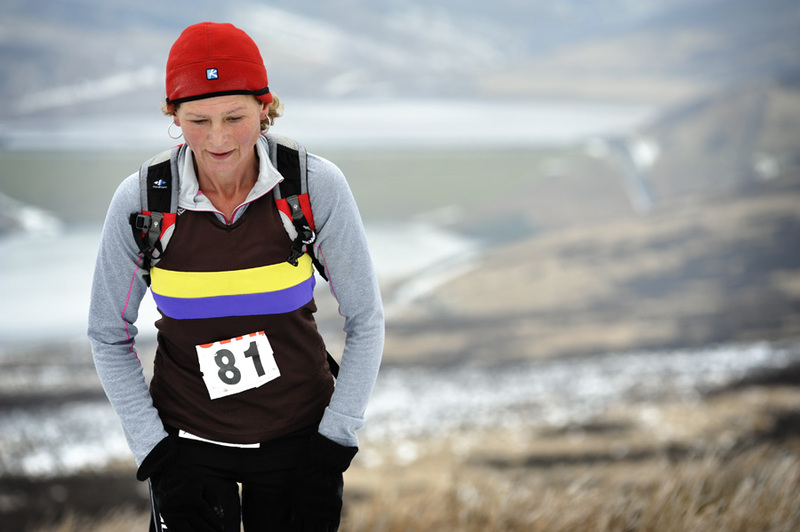 The race is 11 miles and 2750 feet. 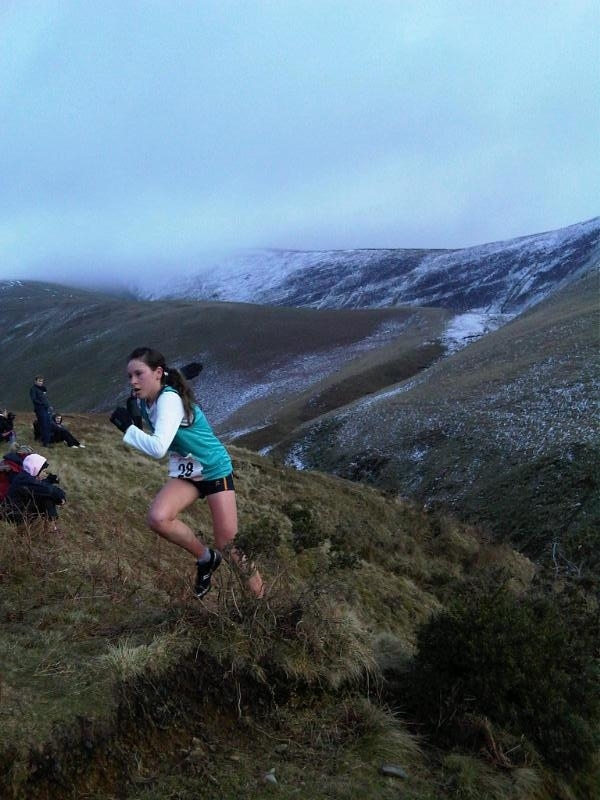 "It was like doing intervals all the way round the route with taking it easy over the icy sections then trying to "test" each other over the runnable bits! Lots of slipping around, Danny fell so we waited, Graham lost a shoe so we waited then it all kicked off on the last climb through the chinese gardens and I found out I was lacking a bit of fitness! very enjoyable morning out and many thanks to all involved in keeping the race on." You can see from the times this group of four were some way ahead of the rest of the field. On the North York Moors, this race is 7.5 miles and 1180 feet. There is no record information. FRB fans did a brilliant job of getting the news out, at the Carnethy 5, we had Dave, the roving newshound on the hill and Oli doing the race, at the Wadsworth Trog Hannah the organiser, called in with the winners from Calderdale and Matt from Mud Sweat & Tears was on the scene at Tarren Hendre. 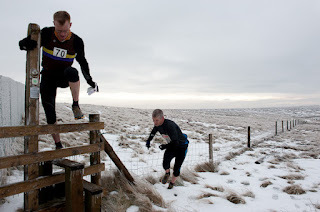 At Danby Beacon our favourite orienteer Nic was on hand to get the results and at the Kendal Winter League we had Scott, Rick and Kirsty feeding the news. At Winter Hill @cvfr_feed were first with the news but it was last but not least @smintycat who gave us the heads up that the results were published (for which we awarded her some salmon - the rest of you will get the "I'm an FRB newshound" that Gabby made for us before she left).